I have a habit of getting stuck on a pattern of frequent reuse of a particular word. 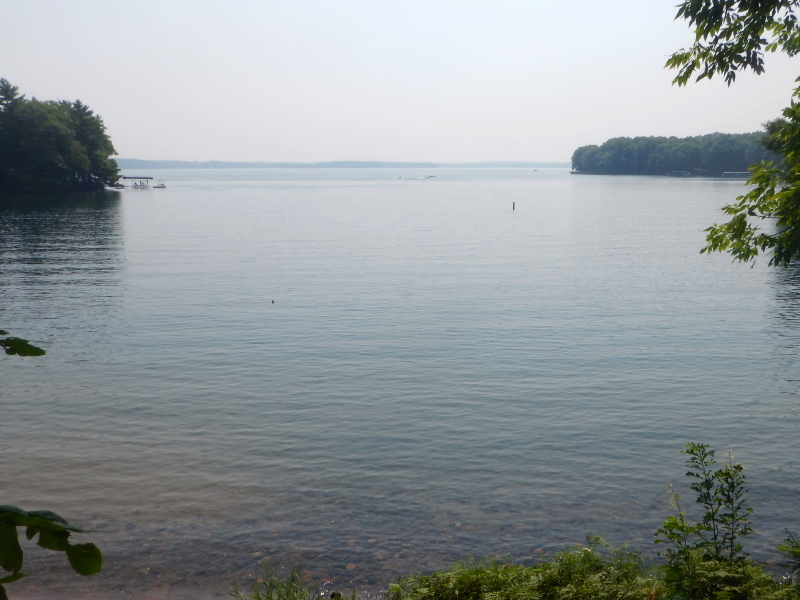 The latest word that I’ve noticed –usually it happens without my being aware– is “gorgeous.” In terms of a hot August day at the lake, the word is well suited to describe yesterday. After a lazy soak in the lake, Cyndie and I lost ourselves in an over-fascination with picking rocks that grabbed our fancy. In the water, they look so shiny and bright. Cyndie brings up a pile of them to keep, all of which tend to turn into much less spectacular stones after they’ve dried. I like shapes and textures. Tear drop and smooth. Both of our eyes are drawn to the ones with lines of different color layers. I noticed an urge to break some open to get another view of the layers. That thought brought back a memory of hammering different colored stones to dust with my siblings to make layered sand art jars. I remember thinking those always turned out gorgeous. And for the record, this August weather totally rocks!